Written for adults on the spectrum and those involved parents, spouses, friends this book is divided into two sections: life and love. In the life section, the author describes and suggests concrete ways to deal with some of the issues and problems faced by those on the autism spectrum. 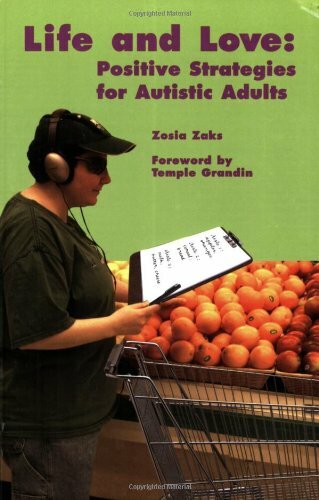 Examples include how to accommodate sensory issues, maintain a home, and manage a career. In the love section, instead of focusing on one topic, the author includes a broad spectrum of suggestions for different types of relationships and weaves these together with the core concept of self-esteem.